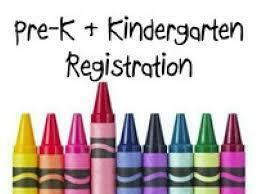 PRESCHOOL and KINDERGARTEN REGISTRATION REMINDER!!!! If you have not signed your student up for preschool or kindergarten for the 2018-2019 school year, it is not too late! You may pick up a packet from the Central Registration Office located at the Administration Building (Castle). WE WELCOME YOU TO AELS WHERE THE FUTURE STARTS HERE!!! !